Our clients can avail from us a competitive range of Monoblock Cooking Station, which are used for cooking different kinds of food. We offer these products in various specifications and these products are available as per the global quality standards. Further, these products are fabricated as per the client’s bulk requirement in the market. 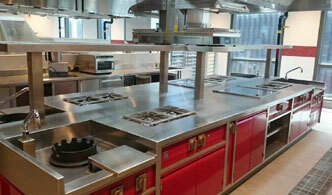 Range of our monoblock cooking station includes Monoblock Cooking Station.